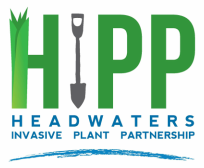 Join us at the HIPP to battle invasives! Invasive plants are non-native species whose introduction can lead to environmental and economic harm. A naturally aggressive plant may be especially invasive when it is introduced to a new habitat since the insects, diseases, and foraging animals that naturally keep it in check in its native range are not present. Often invasives are distinguished by their ability to grow and reproduce quickly, as a result, they threaten biological diversity by outcompeting native species. Invasive plants have been introduced to an area other than their native ra﻿n﻿ge, either purposefully or accidentally through many means. Intentional introductions have often been for agricultural or ornamental purposes. Once introduced, some of these species escape their enclosures or cultivation and become widely established. About 60% of invasive species introductions arise from horticultural reasons. Conservation activities introduced about 30% of invasive plants, mostly for screening, windbreak, and erosion control, but also to supply food and cover for wildlife. Accidental introductions make up the remaining 10%. As people traverse the continent, plants travel as hitchhiking seeds on shoes and in clothing. In some cases, invasive plants arrive as seed in agricultural products or on imported products. Invasive species are expensive. They decrease agricultural production and are costly to control. The annual estimated cost in the United States of invasive plant species is estimated at 33 billion dollars. And they may impact your livelihood or leisure directly. They can devastate key industries including seafood, agriculture, timber, and hydro-electricity as well as impact recreation such as boating, fishing, hunting, gardening, and hiking. Invasive species harm our environment. Invasive plants are not native and threaten biological diversity by out-competing native species and reducing wildlife food and habitat.